In addition, this has inspired my sister-in-law to work out and she wants me to join her. We are starting out slow and will be working out together this upcoming Saturday morning (our first “appointment”). I am so EXCITED. I finally have a work out buddy. If she gives me permission, I will post up her progress here along with mine as well. Aside from the workout aspect, I’ve also been working on drinking and eating healthier. Green smoothies every morning on my commute to work; found here. Up above, a lemon, cucumber, and mint leaves detox water that I’ve been drinking throughout the work day (inspired by a pin on Pinterest). Any further tips that you think will help me as I start out on this journey is greatly appreciated. Until next time. Happy Thursday, fellow blog readers. 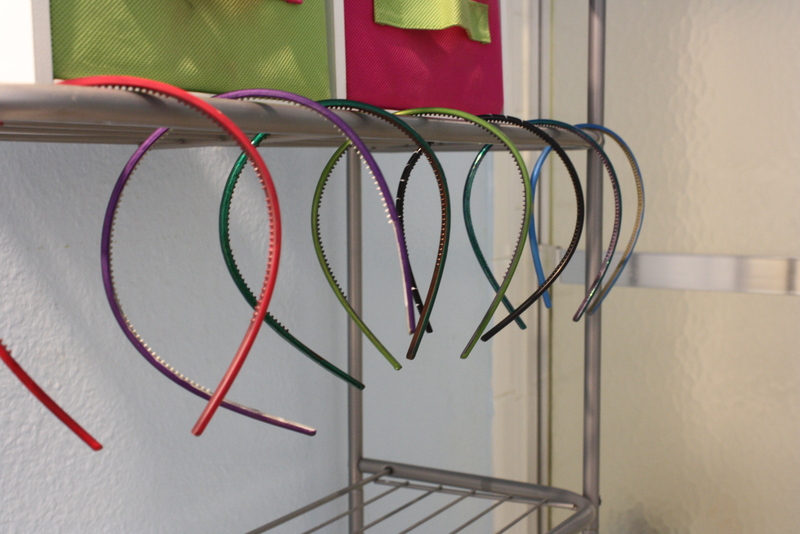 I’ve been into head bands lately and frankly I just hate wearing the ones that go all the way around your head (not sure if there is a specific name for these or not), so I’ve been in search for just the el cheapo plastic ones. Low and behold, they come in neutral colors like black, grey, and a little pink or purple, but not enough to make a statement. I have black hair without any highlights, I don’t want a black or grey head band. What use is it to me? None. I usually can’t find any plastic head bands in great colors either. And when I do, it’s $8 for ONE. 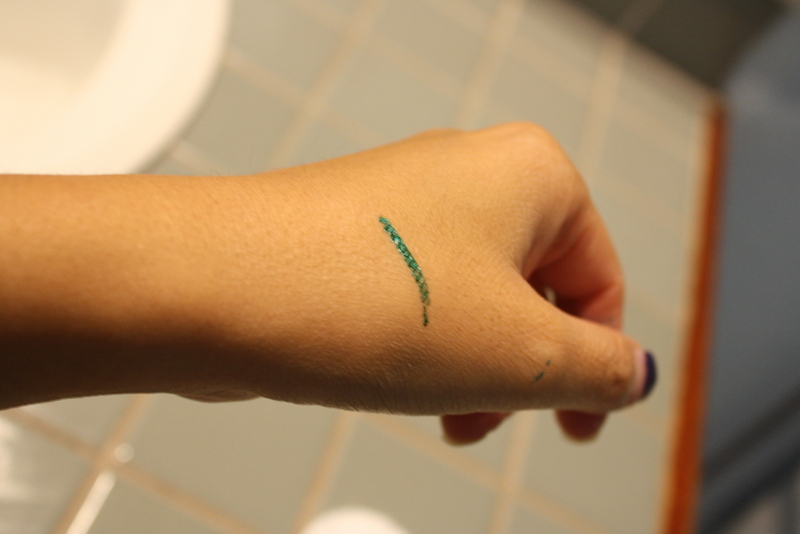 So… one day, I thought (light bulb over my head, ding), why can’t I paint it with nail polish? 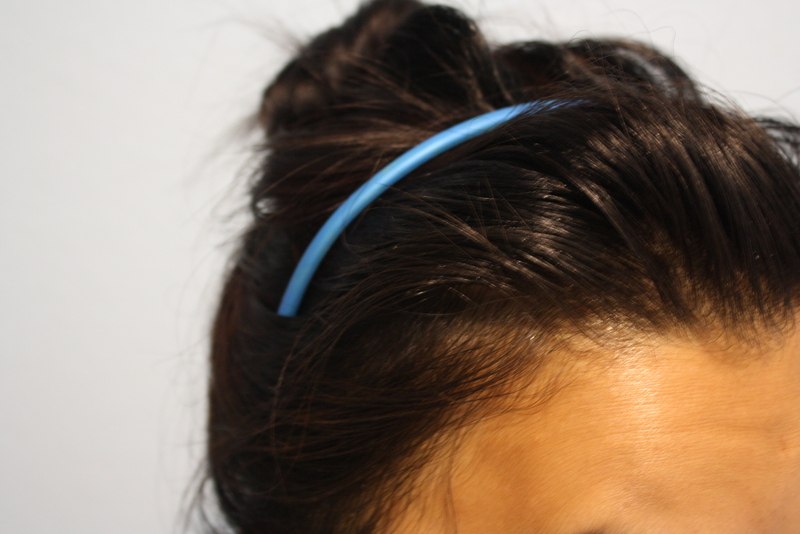 I’ve seen a whole bunch of ideas with nail polish, why not plastic head bands? Thus, I went on my journey over to the drug store and got a set of plastic head bands at 7-8 for $5. Paint these bad boys up and hang them to dry. .. and if you get some on your hands. No biggie, they come right off. Here’s a shot of the back. 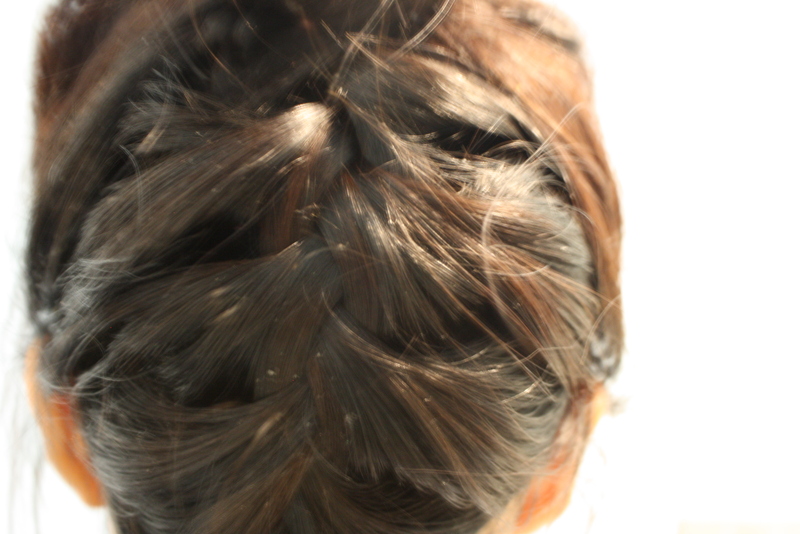 French Braid Up-do, found on Pinterest. 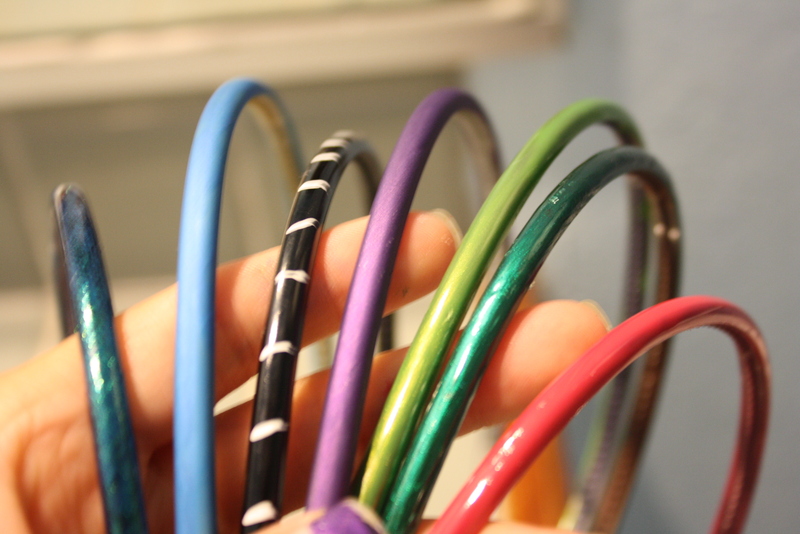 Now that I have a set of plastic head bands with color on them, I am on a journey to make sure I use them. 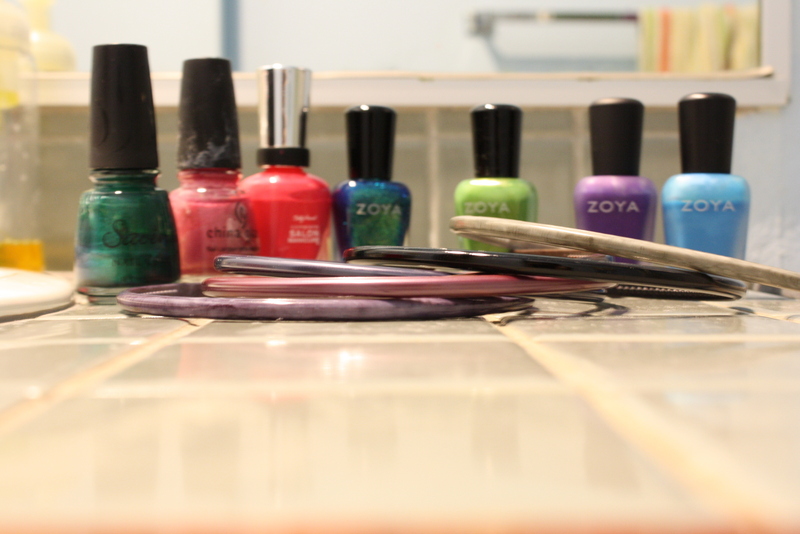 May this inspire you to use your nail polish for things other than your nails. Do you have any nail polish DIY projects that you’d like to share? I’d love to try them out. Hello, fellow blog readers, please check out my new ‘Beauty Finds/Staple’ page up at the top. This is where I will list the products that I have come to love through trial and error. These products are my must products that I cannot live without.